For most people, purchasing a new home is the most expensive transaction they’ll make in their life. For first time homebuyers, especially, it can be difficult to save money and energy for buying things for their new home – which is something that may need to wait until much later, or be a lovely gesture for their friends and family to give them. Every home needs a collection of handy tools – and this portable, compact, kit has all the basics. 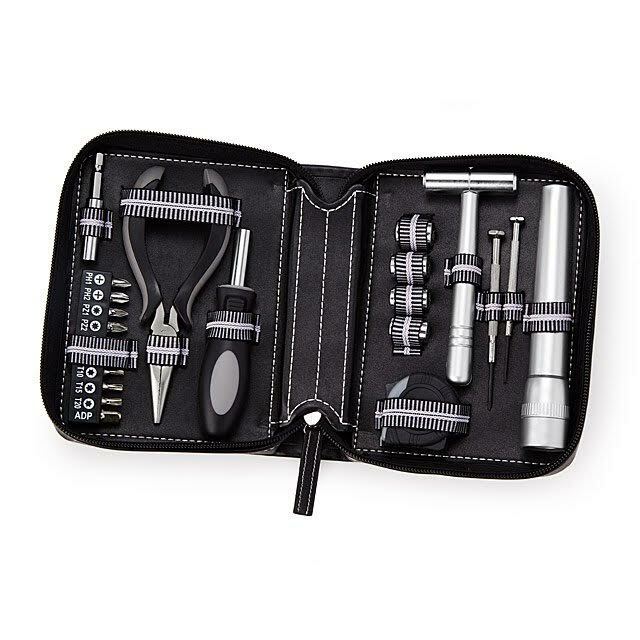 The carry-on suitcase comes with a Hammer, LED Flashlight, Long-nose Pliers, 1M/3 Foot Tape Measure, Slot Screwdriver, Interchangeable Handle, 4 Sockets, 10 Assorted Screwdriver Bits, and Socket Extension. The tools are heat-treated and chrome-plated to resist corrosion. Help a new homeowner get the info they need at their fingertips, such as forecasting the weather or finding a local restaurant, and have their own “personal assistant” that will order a pizza, read an audiobook, or tell a joke, with the Echo or Echo Dot. 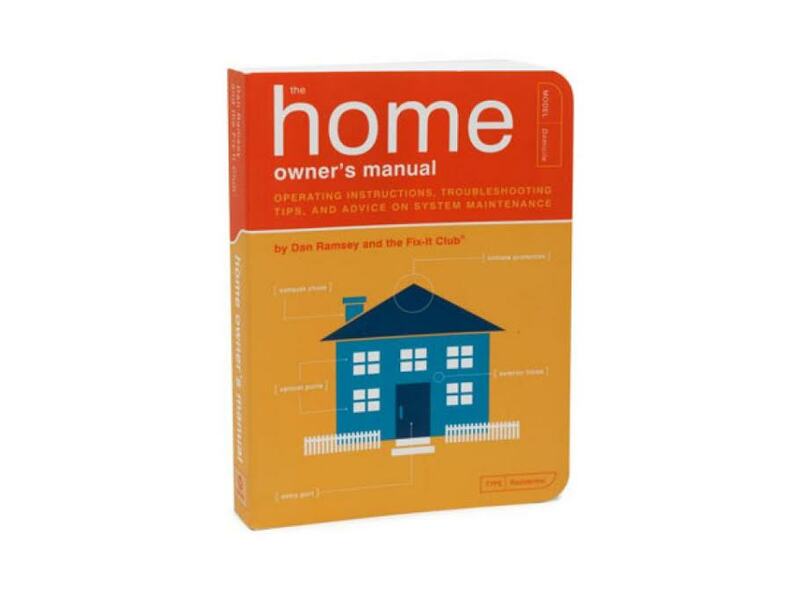 Here’s a truly practical and useful gift – The Home Owner’s Manual by Dan Ramsey. This book is packed with tips, troubleshooting, and home-keeping advice on everything a new homeowner will need to know, with a good dose of humor! What better way to make new homeowners feel at home than with a monogrammed gift! Go for an elegant Monogrammed Carafe for serving a bottle of their favorite wine, or give them a Monogrammed Doormat that will welcome other guests into their new home. Everyone has a smart phone nowadays, and having a practical yet esthetically pleasing charger is going to be welcome in any home. 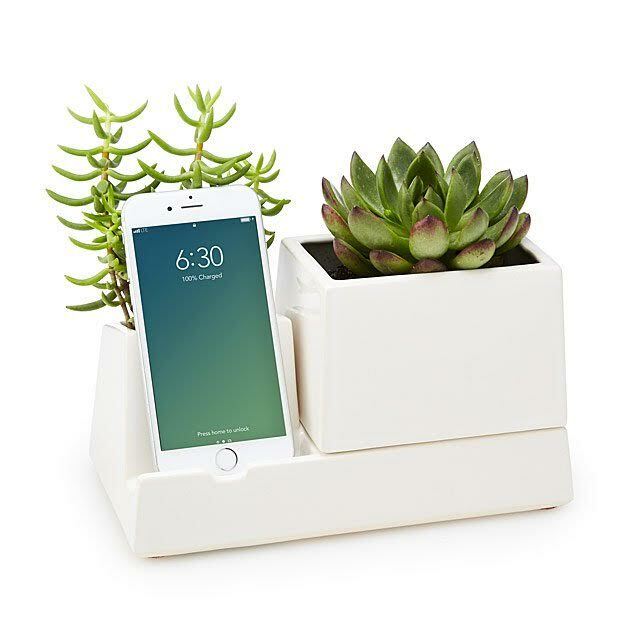 This smart phone valet features modern style and everyday usefulness – a home for a medium-sized succulent or another plant, and a vase for fresh cut flowers or a plant. Handmade in Pittsburgh, Pennsylvania by Heather and Myles Geyman, this ceramic phone dock with a clear gloss glaze holds your phone upright while it charges, and has modular design so that a vase and a pot can be used separately and the base becomes a storage for pens and pencils, keys, thumb drives, etc. Give your friends or family the housewarming gift that will make a difference in their home life every day – clean floors that a robot vacuum will do for them! iRobot Roomba Robot Vacuum comes with Wi-Fi Connectivity and compatibility with Alexa, and works well with pet hair, on the carpets as well as hard floors. Help keep your loved ones and their home safe – gift them a safety device that every home should have, but is often overlooked until much later (or when it’s too late!). Even though many new homes come with smoke detectors, it’s always wise to have a fire extinguisher on hand. Also, a safety ladder may be a good idea if there are 2+ stories. Finally, most new homeowners will have some (or lots) of photographs and art to hang, so giving them a tool that will make hanging a row of pictures straight an easy task is surely going to be appreciated! The Hang-o-matic will mark the exact spot on the wall where the nail needs to go, plus it comes with a built-in level and tape measure. Buying a first home can be very exciting, and also stressful, since there is a number of complex steps and potential pitfalls – our real estate lawyers at the Levin Law Group, are here to help you or someone you know navigate the complicated waters of buying a home. To ensure your interests are protected – contact the Levin Law Groups experienced and dedicated real estate attorneys today.